I know you know the difference between a healthy heart and an unhealthy heart. I know you are aware the you feel better when you are in a loving relationship than when you’re not and I know you know that you feel empty when your heart isn’t fulfilled with purpose. And although I know you know all these things Stats Canada tells us something very different. 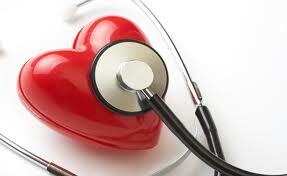 Stats Canada tells us that people are suffering every day with neglected hearts! Every 7 minutes in Canada, someone dies from heart disease or stroke. 54% were due to ischemic heart disease (ischemia is an inadequate blood supply to an organ or part of the body, esp. the heart muscles). The leading cause of hospitalization in Canada continues to be heart disease and stroke, accounting for 16.9 % of total hospitalizations (19.8% of all hospitalizations for men and 14.0% for women). These are sobering and astounding facts. They reflect a pandemic spiritual dis – ease of our most sacred self! It’s time to do something about it for our own good! It is obvious that as a culture we have neglected the importance of maintaining a sacred relationship with our Sacred Heart! We have been conditioned to think of the heart as a physical pump but more recently we have been made aware that the heart is truly so much more. Every day I get questions about how to heal a broken heart. Everyday I get calls to send distance to someone suffering with a different heart condition. Every day I hear stories from clients who are riddled with fear, doubt and worry. All of these are symptoms of suffering caused from living with a weak heart. A heart in dis-ease. A heart that doesn’t know it is sacred and worthy of our most reverent attention and respect. The heart is a mighty organ. Your heart beats away steadily and does valiant, noble work every moment of every day to keep your body functioning well while navigating an unpredictable and demanding world. It is truly an amazing organ and much more than a pump that keeps blood circulating throughout your system keeping everything fed and nourished. 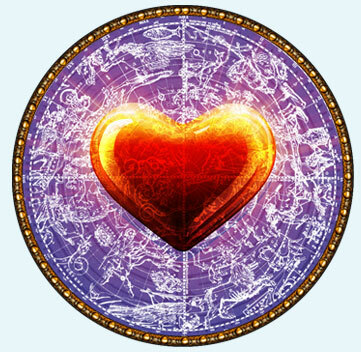 Your heart is the seat of the sacred as it rests and flows throughout your life. In the years that I have been doing this work I have seen a steady rise in the sadness that overwhelms the full expression of love. People are virtually starving their hearts to death. As people suffer with loss of self-worth, self-importance and personal esteem so do their hearts suffer. As we struggle with an external world that propagates fear and hyper-vigilance we rely less on our internal intuitions and instincts and more on schedules and demands enforced by others often ignoring our own internal wisdom all together. We become more and more disconnected from our internal knowing of what is sacred to us in life. But that doesn’t mean we have to live with it! The heart is a vastly resilient organ that needs very little applied effort to restore itself to be in harmony with its divine nature. The main function of the heart, put as simply as I can, is to connect us to everything else. 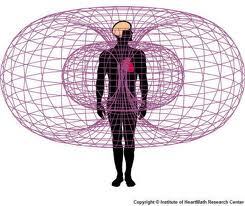 The magnetic power of the heart is 5000 times stronger than the brain. The heart is an electro-magnetic oscillating transmitter and receiver of all the vibrations of life force energy of our universe. By the nature of the heart we are intimately and intricately connected to the working rhythms of our universe. Through our hearts we attract and connect to the life force energy fields of others, relaying emotional information and signals to our brains that will in turn dictate our ability to adjust and survive with ease. Through our hearts we will determine the quality of the life we choose to experience and share with others.When the heart isn’t supported in health on a physical, mental, emotional or spiritual level it starts to limit its interactions with life around it. Its signals get weaker and it begins to harden up. The heart longs to connect with others and communicate with its universe in a dynamic way. When it isn’t able to do this it suffers, when it suffers – you suffer. Life becomes meaningless, challenging, un-rewarding, and isolated. The heart will not survive in an environment like that. Consider the heart to be a liquid crystal that has the powerful ability to amplify and attract all that you desire for yourself and for your world. When the heart is turned on and awakened it has the power to shift mountains. The heart produces a hormone called oxytocin – a love hormone that like dopamine makes us very happy. When we are happy we generate a positive energy that pulses out in an electromagnetic pattern that influences all life around us and creates health. When we connect with others in this state we can experience a profound state of compassion and bliss that radiates out into the communities we live in. We owe it to ourselves and one another to create this dynamic energy.